The sub-Rs. 10,000 price segment for mobile phones has always been very interesting. It may not get the coverage like the flagship smartphones, given the obvious lack of buzzy features, but it really forces the smartphone makers to outthink themselves to bring some amazing value-for-money devices. So, we have seen some great phones being offered for under Rs. 10,000 over the past few years, including the recently introduced Redmi Note 7 from Xiaomi, which is capable of putting several mid-range smartphones to shame. The price segment, however, isn't limited to just Redmi Note 7. There are several other great phones that are currently available under Rs. 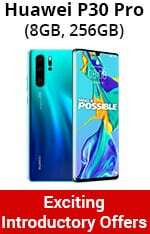 10,000, ranging from Realme U1 to Asus ZenFone Max M2. In this article, we have compiled our top picks for sub-10,000 price segment. To keep things simple, we have only included the smartphones priced between Rs. 7,000 and Rs. 10,000 — we will soon be sharing our updated guide on the best phones under Rs. 7,000. So, do keep an eye for that. As usual, we've restricted ourselves to mobiles that we've reviewed. We test hundreds of products every year, so rest assured we've covered all the major options. So without further delay, here are our top picks for best phones under Rs. 10,000. The latest entrant in our list, the Redmi Note 7, is one of the most exciting phones to debut in India recently. It may be missing the 48-megapixel camera that comes in its Pro cousin, but that doesn't make the phone a slouch. In fact, there are very few true competitors to the phone in the country right now. In our review, we found the Redmi Note 7 to be sporting a premium design and a sharp display. The phone came out with flying colours in terms of the performance and also offers a great battery life. The Redmi Note 7 lasted 12 hours and 52 minutes in our HD video loop test. The Xiaomi smartphone also shines in the camera department, but it reserves most of its good work for daylight photography. It captures fairly decent images with good detail and colours in sufficient natural lighting. The lowlight images are, however, average, which is a problem for pretty much all of the budget and mid-range smartphones right now. The pre-installed bloatware is another issue with the smartphone. Xiaomi is currently offering two variants of the Redmi Note 7 in the country – 3GB + 32GB and 4GB + 64GB – however, only one of these falls in this price segment, making it one of the picks for best phones under Rs. 10,000. If you can go a little over your budget, the 4GB RAM variant is certainly a better option. in November last year, Realme U1 has consistently featured in our best smartphones under Rs. 15,000, now thanks to a recent price cut, even the consumers with a budget under Rs. 10,000 can go for this smartphone. The Realme U1 packs an impressive set of specifications for its pricing and the phone performed admirably in our review. The Realme U1 sports a nice design, which looks good in hand, however the fingerprint smudges are a big problem. The phone also packs a bright and crisp display with good viewing angles. The Helio P70 SoC, which is powering the smartphone, makes sure that Realme U1 doesn't offer any unpleasant surprises in the day-to-day usage. Further, the smartphone delivers good battery life and ran for 14 hours and 56 minutes in our HD video loop test. On the imaging front, while the dual camera setup of U1 takes good photos in decent lighting, it struggles in low-light conditions. Realme is selling two variants of the U1 in the country these days — 3GB + 32GB and 4GB + 64GB – however, only one of these variants is available under Rs. 10,000. The company will also begin offering a new 3GB + 64GB variant of the smartphone starting April 10 in the country. is another smartphone that has been part of our top picks for best phones under Rs. 15,000 until very recently. Now, after a couple of price cuts, the phone is making its debut in this list of best mobiles under Rs. 10,000 list. Based on Android One platform, the Nokia smartphone looks stunning and features a premium design. The phone also offers decent performance and a good battery life. It lasted 14 hours and 36 minutes in our HD video loop test. The dual camera setup present on the Nokia 5.1 Plus isn't free of problems and also falters in poor lighting conditions. In our review, we found the Nokia 5.1 Plus cameras captured good details in landscape shots. Unfortunately, they didn't always get the exposure right, even with Auto HDR. Another issue that we had to deal with was the phone quickly heating up around the LED flash area. HMD Global is offering two storage variants of the Nokia 5.1 Plus in the country – 3GB + 32GB and 4GB + 64GB, however only the 3GB RAM variant is available under Rs. 10,000.
, also makes it to our list of best phones under Rs. 10,000. The phone sports a modern design and a sturdy build quality, however like the Realme U1, it is also prone to smudges. The phone also packs a powerful processor, which we found to be a capable performer in our review. The Realme 3 easily goes through all day-to-day tasks. On the camera front, the phone's dual camera setup is inconsistent in quality. Some shots come out with great detail, but in others, the phone struggles with complex textures or focus. The low-light images, even the ones taken using the phone's Nightscape mode, can be tricky. The Realme 3 also didn't fare well in our HD video loop test and ran for just 9 hours and 52 minutes. The real-life performance of the phone's battery is slightly better though. Realme is selling two variants of the Realme 3 in the country right now – 3GB + 32GB and 4GB + 64GB – but only the 3GB RAM variant is available under Rs. 10,000.
has consistently released good value-for-money smartphones and the ZenFone Max M2 (Review) is no different. While it doesn't look like the most exciting phone around, the phone does offer good performance and great battery life. The Asus ZenFone Max M2 lasted for 13 hours, 34 minutes in our HD video loop test. The presence of stock Android is another positive and the company is promising to finally release the Android Pie update for the phone this month. The pictures taken from the smartphone's cameras in daytime were surprisingly very detailed, however we did find the colours to be muted. Also, the low-light images were poor, and we hardly found any usable shots. The camera app also takes a lot of capture and process images. Asus is offering two variants of the ZenFone Max M2 in the country – 3GB + 32GB and 4GB + 64GB – however, like most phones in this list, only the 3GB RAM variant of the phone is selling under Rs. 10,000 right now. If you can spare Rs. 500 more, the 4GB RAM variant of the phone is better option to go for. (Review) is another decent budget smartphone from HMD Global. The phone sports an aluminium build that feels great in hand and looks nice. HMD's track record in providing software updates is another thing going in favour of the phone and so is the presence of stock Android. Nokia 3.1 Plus underwhelms a little bit on the performance front, however the phone's battery life is a saving grace. The phone ran for staggering 17 hours, 13 minutes in our HD video loop test. HMD Global offers a single 3GB + 32GB storage variant in the country. has released some good budget phones in the past, the company's recent track record is nothing to boast about. However, it did release a nice entry-level smartphone in the form of Lenovo K9 last year. It is an attractive smartphone and comes with fairly clean software with a minimalist user interface. In our review, we found the phone to be capable of offering a decent performance, however it does struggle with heavy apps. The phone's battery life is also good and it lasted 11 hours, 22 minutes in HD video loop test. The one area where the Lenovo K9 really disappoints in the camera. It gave us surprisingly weak results in daylight. There is only one — 4GB + 64GB - variant of the phone currently on sale in the country. (Review) in its portfolio, which might be slightly old but still offer great value for money in this list of best phones under Rs. 10,000. Sporting a wide-notch and metal back, the Redmi 6 Pro comes with a good build quality. The 5.84-inch screen is one of the main highlights of the phone and it offers vivid and punchy colours. The phone works well in day-to-day usage; however, you might find the load times to be longer with games. The Redmi 6 Pro's dual camera setup also takes nice shots in daylight with good amount of detail. But, the lowlight performance of the camera leaves a lot to be desired. Details were quite mushy for the photos taken in poor lighting due to the noise reduction process, and colours were a bit dull. Xiaomi currently sells two variants of the Redmi 6 Pro in India – 3GB + 32GB and 4GB + 64GB. While the Redmi Note 7 remains the best Xiaomi phone in this price bracket, if you are tight on budget, you can certainly go for Redmi 6 Pro. hasn't been in the Indian market for a long time, this brand from Transsion Holdings has carved out a place of itself in the budget segment. Infinix Note 5 was the first Android One smartphone from the company. Running on stock Android, the Note comes with a vibrant screen. In our review, we found the phone to be offering a good performance and a decent battery life. The phone ran for 9 hours and 40 minutes in HD video loop test. The camera performance of the Infinix Note 5 is average and photos taken even in daylight exhibited mixed results. Also, the low-light images lacked detail. The phone's fingerprint sensor is also unreliable. Infinix is offering two variants of the phone – 3GB + 32GB and 4GB + 64GB – in the country, however only the 3GB RAM variant is priced under Rs. 10,000. (Review) is another smartphone from Realme that can be considered by the consumers who are looking for phone with stellar battery life in this price segment. The phone lasted an incredible 17 hours and 30 minutes in HD video loop test. The Realme 2 sports a unique design with a glossy diamond-cut effect on the back. While the Realme 2 works well in day-to-day tasks, the phone falters slightly under intense workloads. The phone's camera performance is unimpressive. Although the rear camera setup captures an adequate amount of detail in favourable light, it has a poor dynamic range and struggles with getting exposures right. Realme 2 is available in two variants – 3GB + 32GB and 4GB + 64GB – with only the 3GB version priced in this segment. was no different. A worthy successor to Asus ZenFone Max Pro M1, the smartphone comes with a compelling set of specifications and features. In our review, we found the ZenFone Max Pro M2 housing a bright and crisp display with good viewing angle. The phone also packs a powerful SoC which makes sure you will get a snappy performance with any lags or stutter. The presence of stock Android also help with performance of the ZenFone Max Pro M2. Another area where the Asus phone excels is the battery life. The phone lasted 17 hours and 58 minutes in HD video loop test, the most in this list of the best mobiles under Rs. 10,000. The ZenFone Max Pro M2's camera capabilities are average and are a slight disappointment for an otherwise great smartphone. The onboard fingerprint sensor is also a bit slow but the company has included face unlock support. Asus is offering three variants of the ZenFone Max Pro M2 — 3GB + 32GB, 4GB + 64GB, and 6GB + 64GB — in the country right now, however only the 3GB + 32GB variant of the phone is available in this price segment.